Raleigh, NC - Two Navy jet fighters crashed off the coast of North Carolina during a training mission Thursday, and their four crew members were airlifted to a hospital with minor injuries after being plucked out of the Atlantic Ocean by a commercial fishing vessel and Coast Guard rescuers, officials said. The F/A-18 Super Hornet jet fighters, based in Virginia Beach, crashed about 10:40 a.m. off the coast of Cape Hatteras, following an “in-flight mishap,” said Lt. Cmdr. Tiffani Walker, a spokeswoman for Naval Air Force Atlantic. Walker did not have any further details. Earlier Thursday, the Coast Guard had said the two aircraft collided in the air before crashing. Two of the aviators were rescued by the crew of the commercial fishing vessel Jamie, and the other two survivors were hoisted out of the water by a Coast Guard helicopter, the Coast Guard said in a statement. A second Coast Guard helicopter picked up the aviators from the fishing vessel and all four survivors were taken to Norfolk Sentara General Hospital. The sea route is heavily traveled by ships entering and leaving Norfolk, one of the busiest cargo ports on the East Coast. 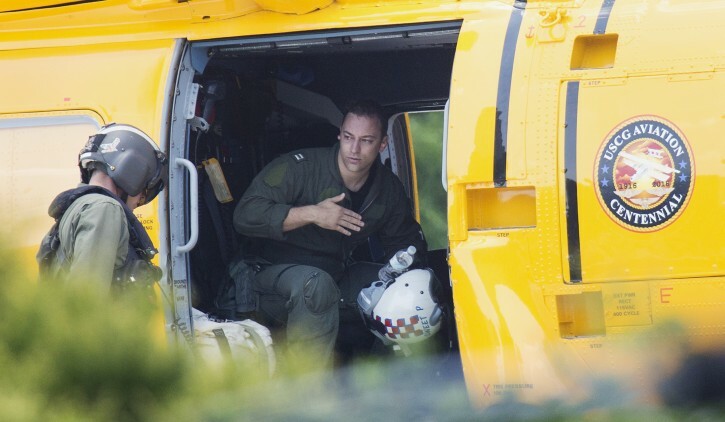 The four aviators suffered minor injuries but are in “very high spirits,” Lt. Cmdr. Krystyn Pecora told reporters. Pentagon spokesman Peter Cook said all were “alert and talking” when they were picked up. Videos taken by WAVY-TV show two aviators getting on stretchers as they exited the helicopter and were taken into the hospital. The other two walked into the hospital on their own, the videos show. “We’re happy to have brought everyone home safely today,” Pecora said. A safety investigation will be carried out to determine the cause of the accident, said Navy spokesman Ensign Mark Rockwellpate. The F/A-18 Hornet is an all-weather fighter and attack aircraft that operates in tactical squadrons at stations around the world and from 10 aircraft carriers, the Navy says on its website. The Super Hornet, the newest model, has a longer range, aerial refueling capability and improved survivability and lethality, according to the website. Each of the planes costs at least $57 million, the Navy says. The jets that crashed Thursday were performing training exercises and are not currently assigned to an aircraft carrier, Walker said. Navy officials did not provide details on the extent of the damage the planes sustained. 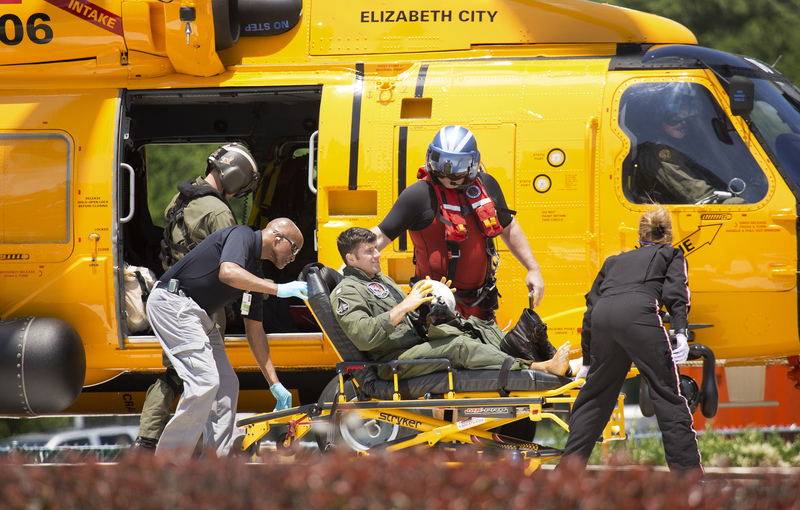 A rescue helicopter was dispatched from the Coast Guard’s air station in Elizabeth City, North Carolina. The station’s helicopters perform ocean search-and-rescue operations off North Carolina and Virginia as far east as Bermuda. "Navy officials did not provide details on the extent of the damage the planes sustained." Doh. They crashed at altitude, and are soaking in sea-water. . .